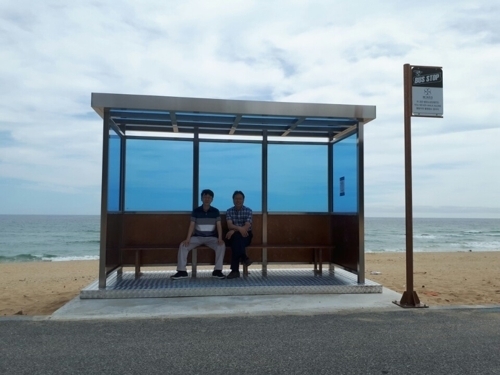 Gangneung, a city on the east coast of the country, recently built the bus stop on one of its beaches, Jumunjin. The location is the spot where the shooting of BTS’ album jacket took place. The new bus stop will not function as an actual stop for local buses, according to the Gangneung city government. It will instead serve as a photo spot for BTS fans and tourists. The beach has become a popular tourist attraction since it appeared in the popular tvN series “Guardian: The Lonely and Great God,” which aired from December 2016 to January 2017. 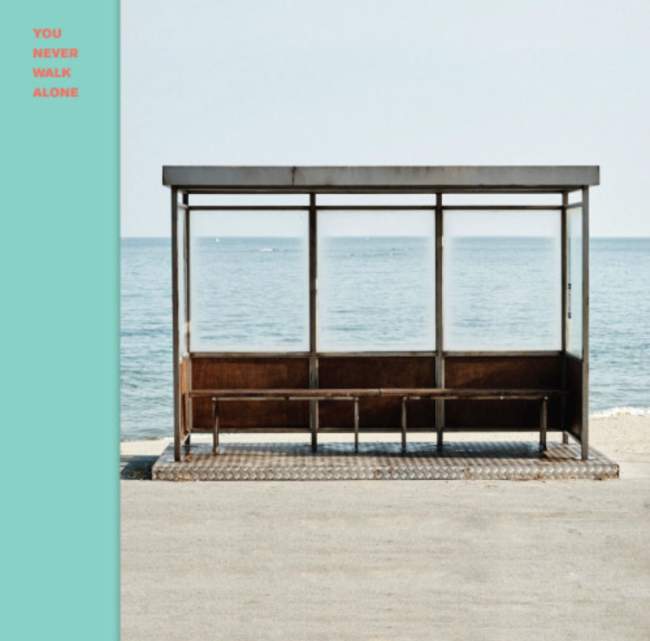 The album jacket of BTS` "You Never Walk Alone"
Jumunjin Beach is scheduled to open in July.